meets basic bar code labeling needs. edition with the emphasis on simplified user interaction. 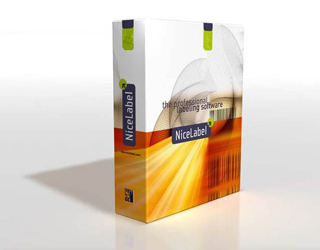 NiceLabel Express is the most accomplished low-cost labeling software available. Data from external sources can be extracted from MS Excel or ASCII text files using a built-in Database Wizard. Design work within NiceLabel Express is based entirely on user-friendly Wizards, representing true shortcuts to fast and easy label creation. It includes all basic label design tools and support for prompted fields, serialization, date/time stamps and all standard bar code types, including 2-D and EAN.UCC 128.